Blue triangles for the Blue Design Box. 11 Triangles for the Large Hexagonal Box. 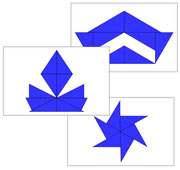 14 Triangles for Rectangular Box A. 8 Triangles for Rectangular Box B. 18 Triangles for the Small Hexagonal Box. 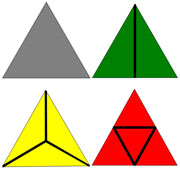 10 Triangles for the Triangular Box. 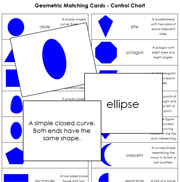 Learn to identify 18 geometric shapes. 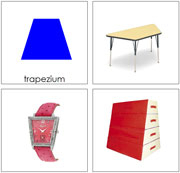 Sort common items by 10 geometric shapes.